Looking back over my career to this point, I recognize that it was my work teaching 3D Design and Sculpture over two consecutive years (1986-1988) to students attending Cooper Union’s Saturday Art Program that first helped me to comprehend the necessity of my calling as an art + design educator, serving as a catalyst in the support of creative identities as they explode into existence. Given that I would not be where I am today without the legacy of free tuition at the Cooper Union, I would be honored to offer my time and energies as a member of the Cooper Union Alumni Association at this critical juncture in the life of an institution that has so evidently helped shape my life’s trajectory. As a recipient of the Cooper Union Alumni Association Award for Outstanding Service to the School upon his graduation from the School of Art in 1988, James Rolling’s commitment to the principle of service remains unquestioned. James is a Dual Professor of Art Education and Teaching and Leadership in the College of Visual and Performing Arts and the School of Education at Syracuse University where he also serves as the chair of Art Education. Dr. Rolling is a past member of the Board of Directors of the National Art Education Association (NAEA), serving as Higher Education Division Director from 2011-2013. Dr. Rolling is the 2014 recipient of the National Higher Education Art Educator Award for outstanding service and achievement of national significance and has just completed a three-year term as Senior Editor of Art Education, the bi-monthly journal NAEA. James has written grant project proposals garnering nearly 2.5 million dollars of external funding since 2014. He is the founder of the 4A Arts & Creative Literacies Academy, a college-community partnership between Syracuse University Art Education and Dr. Edwin E. Weeks Elementary School. 4A Academy features a cross-disciplinary STEAM education instructional format exploring the arts and sciences and serving over 800 students in grades K-5 daily. James has been a Commissioner At-Large on the NAEA Research Commission since 2014 and was just elected Associate Chair. He is also the author of Swarm Intelligence: What Nature Teaches Us About Shaping Creative Leadership, a surprising look at the social origins of creativity, and the Arts-based Research Primer, both published in 2013. James earned his MFA in studio arts research at Syracuse University, entering as a drawing and printmaking major on a full tuition fellowship in African American Studies. As a visual artist and published author, James maintains a long-time focus on mixed media explorations and portraiture of the human condition, viewing studio arts practices as an essential form of social research. Born and raised in Brooklyn, NY, James went on to complete both his Masters and doctoral degrees in education at Teachers College, Columbia University. 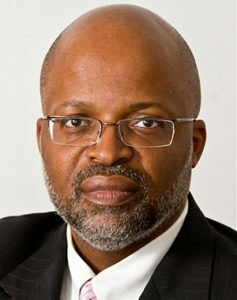 James gained his first experience in higher education management and labor relations as the Director of Academic Administration for the Department of Curriculum and Teaching at Teachers College, Columbia University from 1999 to 2003. His experience in non-profit governance was first garnered as an elected member of the Board of Directors and Executive/Finance Committee for the National Art Education Association. Founded in 1947, The National Art Education Association is the leading professional membership organization exclusively for visual arts educators. Members include elementary, middle, and high school visual arts educators; college and university professors; university students preparing to be art educators; researchers and scholars; teaching artists; administrators and supervisors; and art museum educators—as well as more than 47,000 students who are members of the National Art Honor Society. On a smaller scale, James recently served as Vice-President on the Board of Directors of Talent/Agency, a local portfolio development program for Syracuse city youth. Our mission is to create educational opportunities for low-income and impoverished youth, generating personal agency through the development of natural artistic talents, while setting participants in the program on a course toward successful application to college art and design programs, or quality technical education and training. James will bring a unique perspective to his service to the various stakeholders at the Cooper Union, not only being a first-generation college graduate himself, but having worked professionally with children and families as a New York State certified K-12 educator; having worked professionally in the nuts and bolts arena of higher education administration; and currently working alongside diverse faculty colleagues as a tenured, full Professor at a major research university.